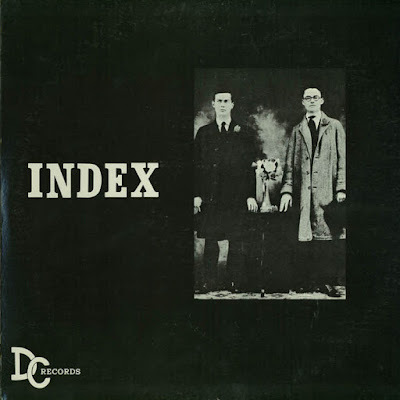 Index was a psych rock group from the Grosse Pointe, Michigan. Their debut The Black Album was released in December of 1967. This extremely rare album was limited to around 150 copies. Later they released The Red Album, which is also very rare. Their unique sound is what makes them so special. They gained a cult status among psych-garage collectors. Here’s an interview with guitarist John B. Ford and drummer Jim Valice. Where and when did you grow up? Was music a big part of your family life? Did the local music scene influence you or inspire you to play music? John B. Ford: I grew up in Grosse Pointe, Michigan in the 50s and 60s. My Dad was big in music, and I was certainly influenced by the music scene in Detroit at that time. I was particular into early English rock with the Who, the Yardbirds, the Beatles, the Kinks, and the Rolling Stones. We also knew other musicians at the time in the area like Jim Osterberg and the Iguanas, who later became Iggy Pop, and the Underdogs, and we hung around with groups like the Pleasure Seekers. It was a great time for music in Detroit. Also Bob Seger, Alice Cooper, the Rationals (who we played as intro band for) and Mitch Ryder and the Detroit Wheels who played some of the same venues as we did. Jim Valice: I grew up on the Eastside of Detroit Michigan. My parents loved the big bands from the 30’s and 40’s. We had a Hi Fi record player in the living room so I was raised with the sounds of Glenn Miller and Tommy Dorsey. The local music scene was very influential. Just a note here on the great bands that played the Michigan circuit but never made it. The Rationals were a great blues trio. We opened for them on several occasions. I got to know Scott Morgan in between sets. He was very complimentary of us. Mike Morgan of The Underdogs was a good friend. We went to the same high school and he was the drummer. Mike gave me a cymbal that I used in all the Index recordings. He suggested that we do a “long play” or LP and put our best stuff on it. Since Motown had just signed The Underdogs that was going to be their next sound project. Well, their time with Motown was short lived and their LP never happened. But we moved forward with 2 vinyl albums. Another outrageous act was the all girl band, The Pleasure Seekers. They were out of Grosse Pointe and feature Suzie Quatro. Suzie would go on to make cameo appearances in the TV sitcom Happy Days as Leather Tuscadero. In the early 70’s I met and dated the drummer, Nancy Ball. Unfortunately Nancy passed away in a car accident in 2013. We kept in touch off and on until her untimely death. I frequented a jazz club in the late 60’s known as Cobbs Corner located near Wayne State University in Detroit. I met one of my all time favorite drummers there, Elvin Jones. He introduced me to Florence Ballard. Flo as she was known was one of the members of the Supremes. I loved them and most of all her. I was stunned. Here I was sitting across the table from Florence Ballard (she had left the Supremes by then). I was speechless. She said “are you going to talk to me or just stare?” I got a hold of myself and we had a great discussion about the music business. John B. Ford: I learned to play the guitar from my uncle starting about 10 years of age. Most of what I learned on were songs by folk singers like the Kingston Trio, Peter, Paul and Mary, and the New Christy Minstrels. Jim Valice: My first musical instrument was the accordion of all things. I started lessons when I was 12 years old and suffered through them for the next 3 years! Then as the British invasion hit the shores of the US, I got interested in the drums. I’m self taught. I would watch drummers at shows or on TV. I had several friends who were drummers like Mike Morgan of the Underdogs and E.G. Clawson of SRC. They would show me riffs. The rest is pure Jim Valice. Charlie Watts of the Rolling Stones became my new musical hero along with Keith Moon and later John Bonham of Led Zeppelin. Ringo Starr is in there also. Ringo is not always talked about in that “who’s your favorite drummer” conversation but he was right for the Beatles. The drums is the motor of a band. They set the tempo and mood. A good drummer just doesn’t roll interrupting, throughout his band’s music but guides it along a path. The drummer also has to compliment the band and be on the same wavelength as the rest of the members. As good as Ginger Baker is would he have worked as a member of the Beatles?! What bands were you a member of prior to the formation of Index? John B. Ford: I put together different iterations of bands before Index. I had an early group called John the Bomb and the Sheepshanks and TRB (the Rubber Band), but the Index was first known as Chicken Every Sunday. Jim Valice: My friend, Dave Szczerba and I formed a band in High School called the Peggs. We were together from 1966 till 1967 when I left to join Index. I was in several bands all at the same time in those days. Along with the Peggs I sat in with The Chocolate Mess. This is where Gary Francis found me and recruited me to join what would become Index. John B. Ford: Probably the first was an early variation of “Rainy, Starless Nights”. Jim Valice: I wrote “I Can’t Quit You” in 1966 and performed it with the Peggs. John B. Ford: I met up with a rhythm and bass guitarist who went to Grosse Pointe University School with me named Gary Francis, and he had heard about a drummer who lived near us in East Detroit by the name of Jim Valice. 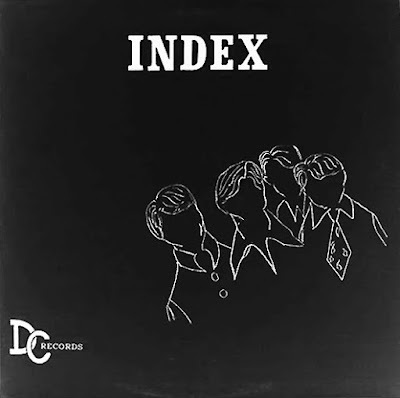 We got together, jammed, felt good about what we were doing and formed the Index. Jim Valice: Gary Francis was at a party where I was performing with The Chocolate Mess, a loud not very talented garageband. Garry approached me during a break and asked if I would be interested in sitting in with he and his friend, John Ford. I was getting tired of “The Mess” and was ready to play with musicians who could actually play their instruments. From our first meeting, we jelled. Our first song was a “Johnnie B Good” selection played in a Chuck Berry style. It was definitely rock and roll but we noticed that we added a little personal something that made it musically unique to our sound. The Index sound was born. It can be heard in the covers we did of “Keep Me Hangin’ On”, “Eight Miles High”, “Spoonful” and others. When and where did Index play their first gig? Do you remember the first song the band played? How was the band accepted by the audience? John B. Ford: Our first real gig was to play “20th Century Fox” (by the Doors) at a talent show for Grosse Pointe University School, and the reaction was so positive that we knew we were onto something in 1966. What sort of venues did Index play early on? Where were they located? John B. Ford: We played school gigs, at the Grosse Pointe War Memorial, at the Undercroft at Christ Church, Grosse Pointe, and then onto private parties. One of the best experiences that we had was playing for the going away party for the Detroit Piston star, Dave DeBusschere, who had a connection to our drummer, Jim Valice through marriage. Many professional sports figures from teams in Detroit attended, and they loved us. How did you decide to use the name “The Index”? John B. Ford: I am really not sure how we came up with the name. I guess it appeared somewhat by chance. Jim Valice: We were not happy with the name Chicken Every Sunday, so one day were were trying to decide on a better name. We couldn’t agree on any of the names we came up. Finally Gary threw a book on the floor in desperation and said whatever page opens up we will take our name from something on that page. The book fell and opened to the Index page. What influenced the band’s sound? John B. Ford: I followed carefully such artists as Jimi Hendrix, the Beatles, Buffalo Springfield, and then Neil Young and Stephen Stills as they split from Springfield. I also loved the Stones, so a lot of these influences affected my own musical orientation as did Jim and Gary, and later Tom Ballew who joined us on Bass for the second album. Jim Valice: John called me one day and said I had to hurry over to his house. He had just purchased a record album by this very new super guitarist, Jimi Hendrix. I couldn’t believe it. John had already been picking out some ideas at his guitar when I arrived. I think, single handedly Jimi’s guitar and his trio set the spark for such Index originals as “Shock Wave” and “Feedback”. We took off from there. John B. Ford: We developed a fairly loyal following, but our reach was pretty much limited since we had no air play for our recordings. So in and around Detroit was out influence area. Jim Valice: Well we had no consistent airplay. That is, we were only on the air once. A very progressive radio station. WABX was into what’s new on the garage scene in Detroit in the late 60’s. Dwight worked out a deal where “Feedback” would play on a certain date at 12 midnight. I remember listening to the show on the correct date but as 12 midnight came and went, it didn’t seem that it would happen. Then at around 12 15 I heard the drone of John’s guitar. Index was on the radio. It was that one and only airplay I know of at the time. Where did you press your debut? How many copies were pressed? John B. Ford: It was with GM Studios in Detroit, and the recordings were done by Jim, the drummer, and the manager for the group, Dwight Conger, who innovatively recorded using two reel-to-reel tape recorders for the second album which allowed much better sound quality and double, triple and quadruple tracking of voices and instruments. The first album was fairly garage band sound oriented with all recordings being done with one reel-to-reel recorder in my parent’s basement. The second album became more complex in sound as Dwight tried some very innovative techniques to achieve great effects. What’s the story behind your debut album? Where did you record it? What kind of equipment did you use and who was the producer? How many hours did you spend in the studio? John B. Ford: Sony reel-to-reel tape recorder with ¾ inch tape. It was recorded in my parent’s home basement. It was done in conjunction with engineers at GM Studios in Detroit. Dwight and Jim handled recordings. Jim Valice: Yes, recording was an issue early on. We didn’t have the luxury of a multi track sound studio so we had to improvise. Dwight came up with an idea to position the instruments away from the microphones in distants. This was so the bass and drums wouldn’t drown out the vocals and guitars. It worked pretty well but I think the vocals could have been louder in our first recordings. Actually I think this overall recording technique added to the surrealistic sound that would become our trademark. Please share your recollections of the sessions. What were the influences and inspirations for the songs recorded? John B. Ford: I was heavily into wah-wah pedals and fuzz tone in my guitar work, and we developed a sound which was somewhat unique for bands in the Detroit area. “Israeli Blues” was a bit of a cross-cultural nod as my father was in the import-export business and I was fascinated with other cultures and their music. I also felt that we needed to have fun in our instrumentals, so much of what developed was an outgrowth of jamming and finding what worked and what didn’t work. Jim and I wrote many of the songs ourselves, but we also paid homage to groups that we loved like Vanilla Fudge and the Jeff Beck Group and the Bee Gees with some of our covers. We also loved the Byrds. John B. Ford: The idea for the sound effects of the helicopter and the toilet flushing were from sound effects recordings that we were fascinated with. So the intro to “Eight Miles High” was from the perspective of hovering in a helicopter over the Plaza de Toros in Spain (the bullfighting arena). “Israeli Blues” developed out of jam sessions, and it reflected a Middle Eastern influence. “John Riley“ was an English folk song that had been done by Peter, Paul and Mary and had influenced me early in my guitar development. “Turquoise Feline” really allowed me to use my wah wah peddle effectively, and it was a fast-paced crowd pleaser that we got a lot of positive response to. These power pieces were really our defining songs early in our development. They were truly our songs and easy to recognize. 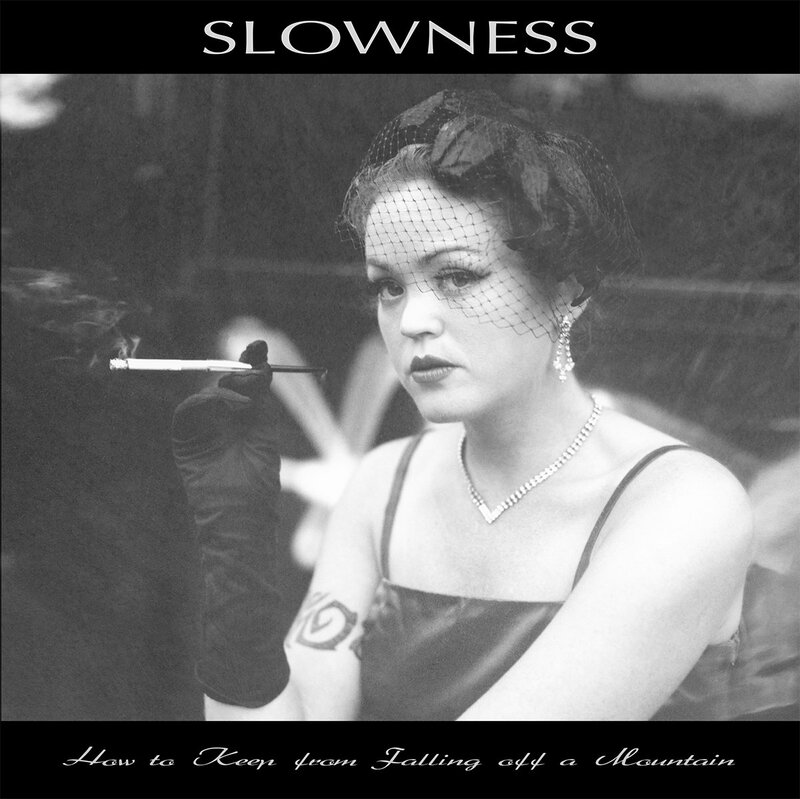 “Rainy, Starless Nights” was the typical angst-loaded type of song so popular at the time. Typical of those going through machinations around failed love affairs and the burdens of life. 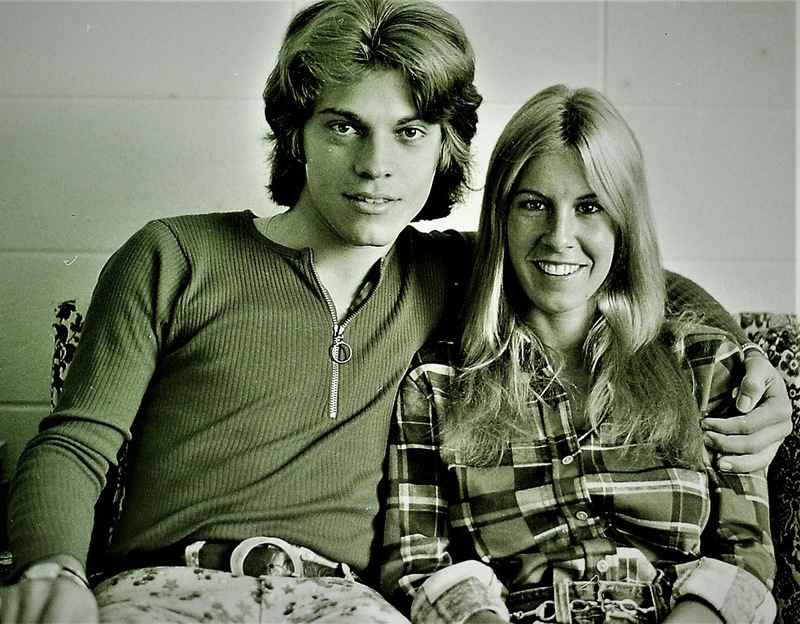 “Fire Eyes” was another love song that Jim and I wrote to reflect our loves at the time. “Shock Wave” is really one of our favorite pieces. It was our main jam piece, and it was our pretty much signature song. This was a hard-driving reflection of wah-wah and more stylistic lead guitar reflective more of Jeff Beck. This was a favorite at gigs that we played. “You Keep me Hangin’ On” was a nod to Motown in our backyard, but it also brought back in the idea of the cover done by Vanilla Fudge that modernized the piece for the audiences of 1967. Finally, “Feedback” is a tribute to Hendrix and his phenomenal guitar work. I saw him play at Yale University in the Fall of 1967 and was so blown away by his stylings. I was also interested in the fuzz peddle and what it could do. This was probably our second most recognizable piece. Were you inspired by psychoactive substances like LSD at the time of writing the album? John B. Ford: No – it was strictly enjoying the effects that I could create on my guitar as I became more adept at playing and incorporating new effects. We were really not into the drug scene as most of lead up happened in 1966 – 1968. 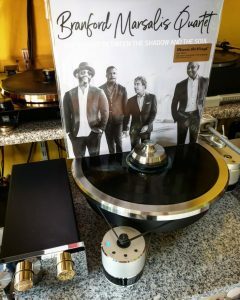 How pleased was the band with the sound of the album? What, if anything, would you like to have been different from the finished product? John B. Ford: The first album was not as polished, so it was a bit difficult to hear the clarity of the vocals as we were recording in an echoing area in my basement without carpeting to soak up sound. We also did not have the great microphones that we later had for vocal recording. Did the band tour to support the LP? John B. Ford: Well, not really. We did not have massive circulation of the album. We gave it to friends and passed it around. I also stuffed the record bins at Harmony House in East Detroit with copies of the album. We played many gigs, and people spread the word about us and the album. We did play one gig at Yale University where I was a student in 1967, but most of our gigs were in Detroit area around our vacations from different universities. How about your The Red Album, which was more conventional sounding? How many copies were pressed? 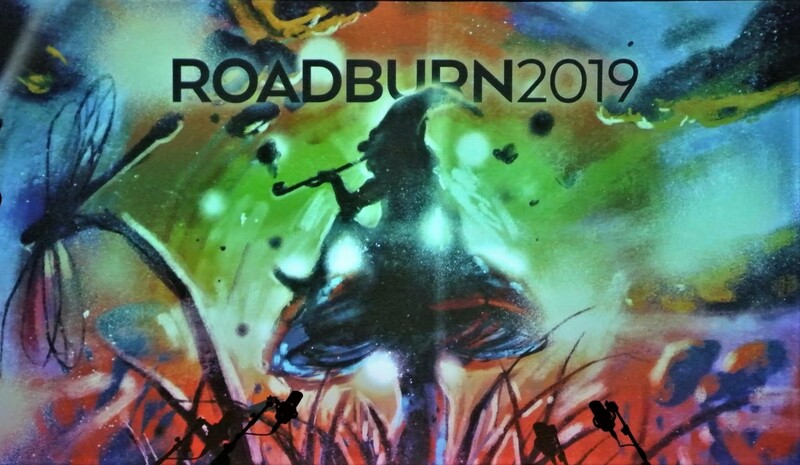 John B. Ford: This was so much better crafted as we knew what we wanted to accomplish, and we had written a number of new songs since the first album. I loved the ability to sing multiple voice parts to create deeper harmonies along with being able to play different guitar parts and fusing them in. This was a complex recording process, and I really believe that our manager, Dwight Conger, played an important role in bring the multiple tape recorders together to create greater complexity for the songs. We also added new foundations with Tom Ballew on bass who filled out the sound quite well with bass runs. It was a better all-around product. 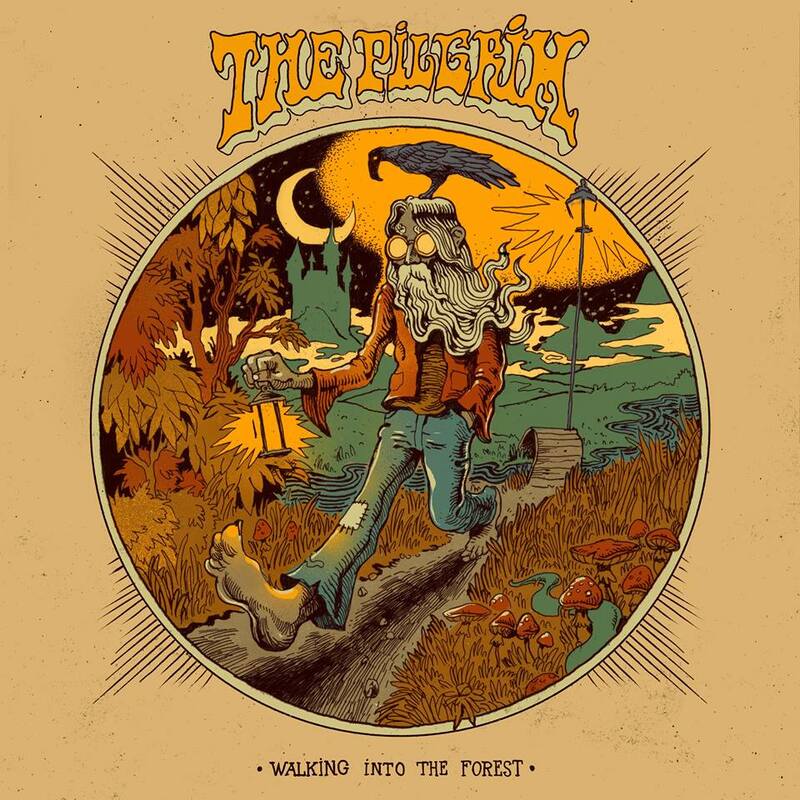 “Turquoise Feline II” was an improvement upon the original “Turquoise Feline” and was an evolution from the earlier version with the greater capability that we had with the new recording mechanisms. “I Can’t See Nobody” is a cover of the Bee Gees, and it was a particular favorite of Jim and mine. Jim joined me on the vocals for this version. “Spoonful” is a cover of a song by Dixon that was done by Eric Clapton, and I loved it. “Eight Miles High” gave an opportunity to provide a better version of our lead-off song on The Black Album. We felt that we could do it more effectively in a second go-around. “The New York Mining Disaster” was a cover again of the Bee Gees, and that was another song that we loved, and again Jim and I could both add vocals to this track. “Paradise Beach” is an original by me and Jim which allowed the use of an acoustic Martin 12-string guitar which added a rich chording to the song. Another love song reflecting things in 1968. “Break Out” is another of our hard-driving jam developed pieces that we were so well known for. “I Love You” was a song that was hanging around in my head for a long time, and I finally got it down and we recorded it. Again this reflected a richer sound which I had been trying to achieve. Finally, we wrapped it up with “Rainy Starless Nights” in an evolved and better recorded version to set the record straight after feeling that it was not that well done on The Black Album. We pressed very few copies of both albums, and this is what made them so rare. I believe that there were only a few hundred copies of each album ever pressed. Jim Valice: The Red Album is very different from our previous recordings. We had in mind a cleaner sound concept. Something more like the Beatles’s Rubber Soul album. We also wanted to do more with vocal harmonies. This was also the debut of our new bass player, Tom Ballew. Tom added yet another dimension to The Index. What happened after the band stopped? Were you still in touch with other members? Is any member still involved with the music? John B. Ford: We went to college and graduated. The band really stopped functioning in 1969, and Jim and I continued on ourselves and recorded as Just Us. 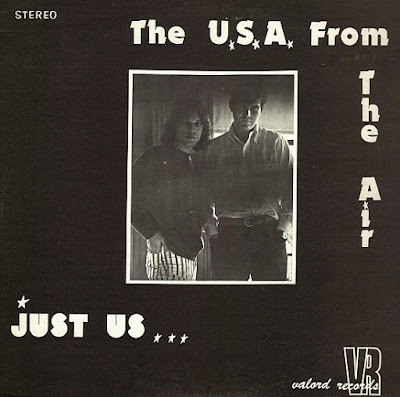 Our album was titled U.S.A. From the Air, and we got a chance to play the songs that we loved at that later time. Jim Valice: Just a note here, I moved to Los Angeles in 1980 but would come back to Michigan to visit my parents. In 2009 I discovered a cardboard box with some of my percussion instruments from my Index days at their home. There were also three reels of Index recordings. Much of that is outtakes but there are some excellent final masters. The second disk of the 2 CD set Index Yesterday and Today put out by Lion Productions some time ago is compiled from those recordings. There is also a final master of the Just Use – U.S.A. From the Air album. Also, Lion Productions will release the first of two Index originals volume’s I and II in the next week or so. These vinyl albums will consists of just original Index tunes. Volume I will include songs from the two vinyl albums Black and Red recorded in 1967-68. 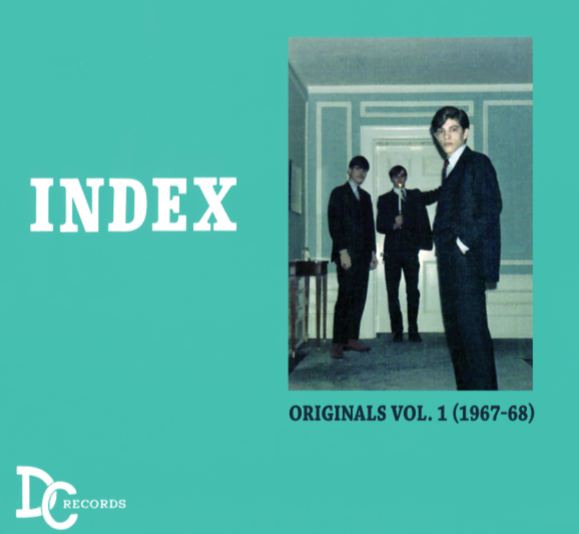 The second originals album will include Index songs from 1969 with 7 songs previously not released in their final masted form. Volume II will be released later this year. So, yes, new original music from Index! John B. Ford: Probably the DeBusschere going-away party as he left the Detroit Pistons and went to the New York Knicks. This was a really appreciative audience of famous sports figures in Detroit, and we had a ball. I loved the chance to play with Jim, Gary and Tom. We got along really well, and we were proud of the material that we wrote and performed. My favorite songs had to be “Shock Wave”, “Turquoise Feline”, “Paradise Beach”, and “Rainy, Starless Nights”. Jim Valice: I agree the DeBusschere party was Memorable but I also enjoyed travelling to New Haven and playing our music to a brand new audience at Yale. Most of all I enjoyed our recording sessions. We were very fortunate to not have a record label because there was no one to tell us how we were supposed to sound. Our ideas flowed from our instruments and into the microphones as we intended. These recordings are pure Index (no Phil Spector to muck things up). What are some of your favorite memories from band and the 60s in general? John B. Ford: Getting to see great groups near us like The Four Tops, Martha and the Vandellas, The Temptations, the Supremes, Little Anthony and the Imperials, Stevie Wonder, etc. We used to go down to the Fox Theater in Detroit and listen to the Motown Revues. They were fantastic. Of course we also had access to Bob Seger, Alice Cooper, the Underdogs, the Rationals, etc. It was a great time for music in a great location. Jim Valice: When we were not performing it was fun to go catch other musical acts. While it was great seeing the Motown review I also enjoyed seeing our garage contemporaries perform like The Rationals, SRC and MC5. What were some of your favourite bands? John B. Ford: C.S.N.Y., The Jeff Beck Group, the Beatles, Stones, Cream, Jimi Hendrix Experience. There’s so little known about Just Us, a project by you and Jim Valice. John B. Ford: We just recorded what we felt like recording. We never performed for live audiences. Two drummers Jim Valice and Nan Ball, the original drummer with Suzie Quatro and The Pleasure Seekers. 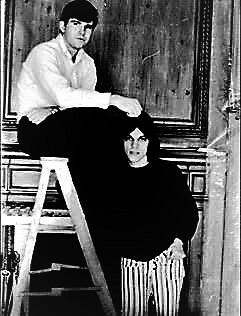 Photo was taken at their apartment in 1970. Jim Valice: Nan Ball, the original drummer with Suzie Quatro and The Pleasure Seekers and I were living together at the time John and I were recording the Just Us album in 1970-71. I wrote the only original song on the Just Us album. It’s a piano instrumental that I wrote and played for Nan called “Portrait Of My Love”. John B. Ford: The recording that Jim put together for Lion Productions included things that we had done later that were never put on an album and reflected the last version of the group where we had added Doug Weise on vocals in 1969. John B. Ford: I really love music by Yes, especially during the time when Trevor Rabin was the lead guitarist. Love his complicated runs. Today I really love Coldplay, and I enjoy the work of Kishi Bashi, who is a good friend and fantastic guitarist and violinist and lives in Athens, Georgia. In terms of more modern music, I like the work of Chvrchs and Of Montreal. John B. Ford: Thanks for the opportunity to talk about Index. We have been told that we have influenced other musicians, and I only hope that people found our music enjoyable. We loved our time together, and while we don’t hang around together, we certainly think about each other. I live in Southern Virginia, Jim lives in Southern California and Gary lives in Michigan. We lost track of Tom Ballew years ago. It was a great time in our lives.